Nebraska Sandhills. 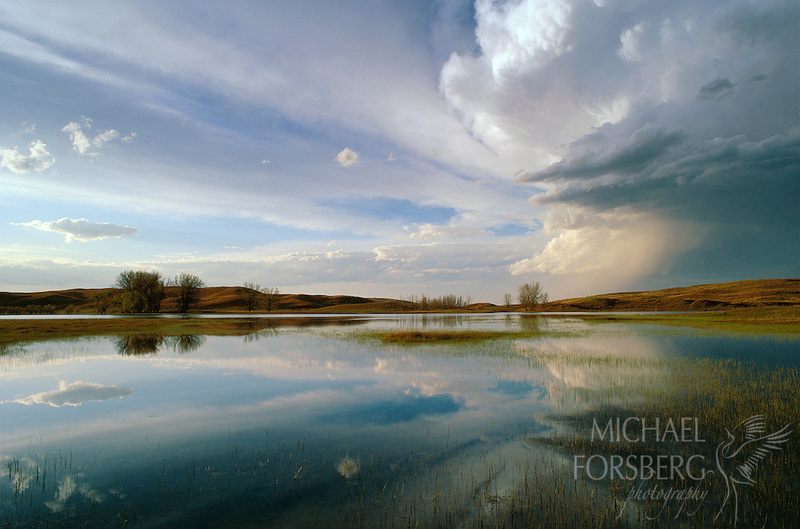 On a ranch in Grant county, towering cumulonimbus clouds are reflected in the waters of a shallow sandhills lake in early May. Fed by rainwater above and from the vast underground Ogallala aquifer below, these shallow lakes and wetland complexes anchor the tremendous diversity of wildlife found in the sandhills region.